Detective fiction plots are a little bit like clockwork. Sub-plot whirrs into sub-plot whirrs into sub-plot into Resolution, intuition into clue into deduction, multiple cogs spinning and clicking to produce one final resounding tick. Only sometimes they get it wrong. Only a little bit wrong, but a little bit of dust in the machine that clogs up the mechanism and then it all suddenly doesn’t make any sense. One thought of ‘hmm…’ springs into the reader’s mind and the entire edifice comes crashing down. Reading a writer such as Christie, these are pretty rare; to take a lesser writer to task for common mistakes would be a little unsporting. For this reason, these posts will deal exclusively with the good works of Christie in her heyday: the ones we remember and cherish, not the ones we prefer to forget or just think ‘eh?’ For all their inconsistencies, Elephants Can Remember or Passenger to Frankfurt will not be dealt with here; as will cases such as Peril At End House where an ‘inconsistency’ is acknowledged and dealt with in the text. * And so, Five Minute Mysteries is tackling the greatest of them all at the height of her powers to show one thing: how damn difficult writing a good detective story is. Obviously, spoilers ahead. You have been warned. After the Funeral is one of the lesser known but most underappreciated Christies. Written fairly late, it has the darker tone of late Christie in its setting, a Britain ravaged by the wars and idyllic dreams of teashops and old family houses lost for good, yet keeps the whip-sharp characterisation and plot of the best. It’s rare, perhaps unique, in being a country-house murder that knows that age of the country-house is long-gone. Cora Lansquenet, nee Abernethie, was a gawky child who always spoke at the wrong moment, now grown into an overweight, ungraceful woman who always speaks at the wrong moment, so no-one at the gathering pays her too much attention until, a few days later, she is found by her companion, her head smashed and very dead. 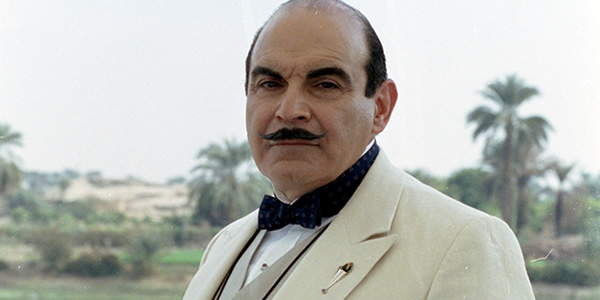 Enter Poirot. At first, the case seems impenetrable. There would be reasons to kill Richard Abernethie, but no-one can find any evidence to prove murder. If Richard Abernethie was not murdered, then why kill Cora, a batty old lady who lived alone with a companion and spent her days buying old paintings at charity sales? The answer is one of Christie’s most ingenious. 1. Cora was killed, not for her money, but for something valuable in her possession: an unrecognised Vermeer, bought at a charity sale and left as a gift to her paid companion, Miss Gilchrist, who battered in her employer’s head in order to get enough money to found a genteel tea-shop. (It is one of the more darkly amusing Christies). 2. The Cora who made the comment at the funeral of Richard Abernethie, the comment that began the suspicion that Richard Abernthie was murdered and so threw suspicion away from the murder of Cora Lansquenet, was…not in fact Cora Lansquenet but her companion, Miss Gilchrist, dressed up. This in itself is not too implausible (and there’s a far more egregious use of this device in Christie yet to come). None of those present at the funeral were close relatives, all close relatives being dead; Cora had changed from a skinny girl into a heavy woman, and only her easily-mimickable mannerisms were the same. Miss Gilchrist being able to pass herself off as Cora makes sense, but what she says while in disguise does not. By suggesting that Richard Abernethie was murdered and then allowing Cora’s body to be discovered, Miss Gilchrist essentially begins a murder investigation. This is exactly the sort of thing that a sensible murderer does not want. Either they convict the wrong man, and someone, somewhere keeps looking. Or, more likely, without a plausible culprit, the case remains open and, as Miss Gilchrist admits, she remains under suspicion for the rest of her life. The big burning question is this: Why allow Cora’s murder to be discovered at all? Option 1: Kill Cora, apologise for not being able to make the funeral by letter, wander about dressed as Cora for a few weeks, then move. Steal the painting and open a teashop somewhere far away. Characters use this device successfully in A Murder Is Announced. Option 2: Kill Cora. Attend the funeral, and any few-and-far between family functions, in disguise as Cora. Whilst there, explain that you’re moving to, say, the North of Scotland to paint and open a teashop but will keep in touch. Move to Scotland, steal the painting, open a teashop and maintain a double identity as Miss Gilchrist and her seldom-seen employer, the eccentric Cora Lansquenet. After a while, fake Cora’s disappearance to the South of France and remain in Scotland as Miss Gilchrist, whilst attending family functions on Cora’s behalf. Characters use devices such as these – impersonation and a hidden life in a foreign country – in Parker Pyne Investigates and After the Funeral itself. Option 3: Kill Cora. Go to the funeral and launch a murder investigation. Then allow Cora’s body to be discovered and find that, once the case is taken over by detectives, that you are under scrutiny and not allowed to leave. Result? It’s remarked in various Poirots, most explicitly Cards on the Table, that the most successful murderer is the one that is never caught. In all Christies the murderer makes a mistake in some shape or form, but in this one we are reminded of the lament of Mrs Oliver, Christie’s crime-writing alter ego: that, when thinking up the best crimes, the criminal has to be made to do something really stupid to allow the detective to catch him. The ‘flaw’ in Peril at End House is in fact the same as that in The Cuckoo’s Calling, except that the former acknowledges it where the latter doesn’t: when trying to cover up a murder, it is a really really stupid move to hire someone you know to be a competent detective to investigate it. It is particularly egregious in The Cuckoo’s Calling, where the murder is considered to be a suicide until the murderer himself hires a detective to investigate. The points this gains for an unexpected ending are unfortunately cancelled out by the sheer stupidity that no amount of “he’s just a really arrogant character” can ever justify. Some books are shy. They have nondescript titles in small fonts and sit on the side-lines, patiently waiting to be picked out and asked to dance. Detective stories, on the other hand, jump out at you from your bookshelves screaming ‘Murder!’ ‘Mystery!’ ‘Death!’. A Vicar, Crucified is one of these. The plot of the story is simple. The parish council of the windswept seaside village of Stormhaven get dissatisfied and crucify their village priest. Literally. So far, so conventional. Brutality in detective stories is par for the course, barbarity isn’t shocking any more. Yet the murder, or even the mystery, isn’t the most intriguing part of A Vicar, Crucified. Unusually for a book with such a dramatic title, A Vicar, Crucified is firmly a character piece. Every page oozes sarcasm, bite, and chilling observation of the world. The author, once a supermarket worker, once a comedy writer, once a vicar, knows his stuff: the descriptions of life in the church and parish community are golden. We meet the Bishop of Lewes – ‘No-one can criticise anyone with a cross from Africa!’ – giving a firm telling-off to a mouthy overweight alcoholic priest, a figure whom we’ve all met before, in an aside designed purely to showcase these characters, before we even get to the crucified vicar himself, an arrogant unlikeable man who sums up his calling as ‘why the hell not?’. And then we come to the book’s detective, solitary contemplative Abbot Peter. Peter is the former Abbot of a desert monastery. A thoughtful, bookish, introverted man, he cares little for possessions and his one desire in life is to be left alone. We can all sympathise. But his character doesn’t end here: like all introverted detectives, his great genius is people. 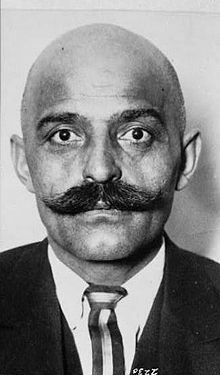 He’s the son of a wandering Russian mystic (George Gurdjieff, the real-life inventor of the Enneagram; despite the moustaches, not in fact Poirot), and is an expert on the Enneagram personality system and its applications in his spare time. 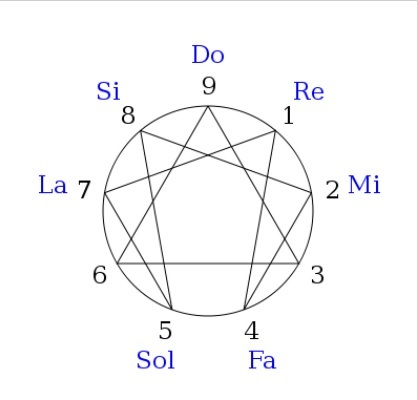 For those unfamiliar, the Enneagram suggests that there are nine personality types, each with their own specific way of failing and healthy or unhealthy ways for these traits to manifest. Type Two needs to be needed, Type Three needs to succeed, Type Five needs detachment; read up more here. 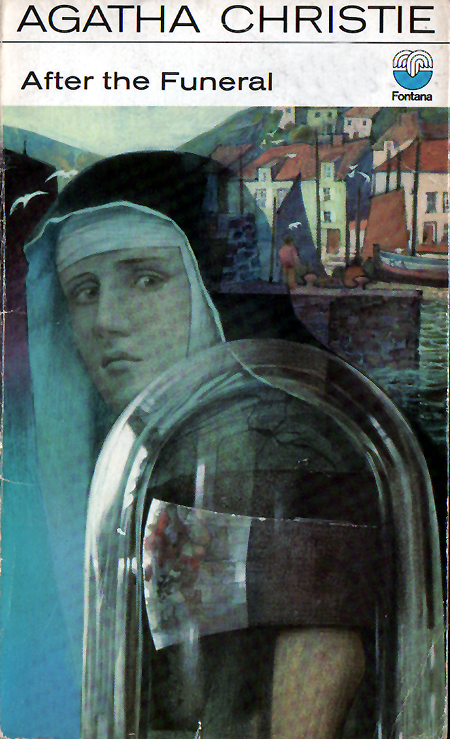 And it is this, not the comparatively small manner of the crucified vicar, that makes the novel unique: the novel uses the Enneagram as a way to understand a murder mystery. Good murder mystery books tend to be either based on logical puzzles (the dropped cigarette = suspect A, a la Holmes) or on human interaction, a la Marple and Poirot. 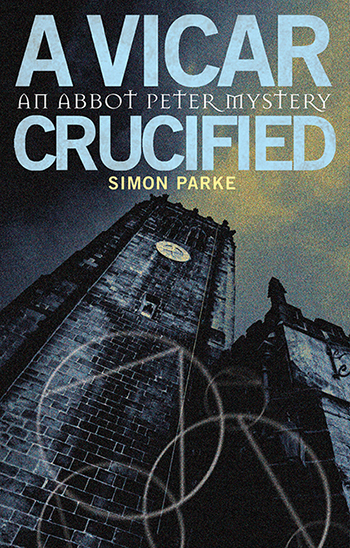 But A Vicar, Crucified does it in an enjoyably blatant way: in Simon Parkes’s head, the murder is not about the clues but only about the people, and the murder is only a tool to see how these people interact. It’s an incredibly intriguing concept, and how the very best murder mysteries are done. It comes down to what you read detective stories for. If you read detective stories solely for the clues and the puzzle, perhaps avoid. But if you read them for the portrayals of life, human beings, human frailty and human satire, snap this one up now. Your answer will likely depend on your Enneagram type.